Fall is upon us and the world is winding down. That means that summer sports are also starting to wind down, as the rain starts and the temperature dips a bit. Kids who have been active all summer have started to dig into their schoolwork and to think about putting away those cleats, storing the footballs and the baseball bats and the soccer balls in the garage until the spring. Winter can be a time of less physical activity, even in a place that’s got great weather all year round. Days are getting shorter and there’s just less time spent actively engaging those bodies. However for kids, their bodies don’t necessarily know the difference – they’ve still got that high level of energy and that need to get it out. Of course staying active is important for people of all ages as well. How can you get your child active for these winter months? Fencing is a great option! 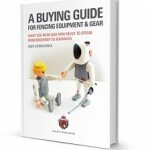 Here are five reasons to get your child started in fencing this fall. Fencing offers a kind of mental engagement that just can’t be beaten. 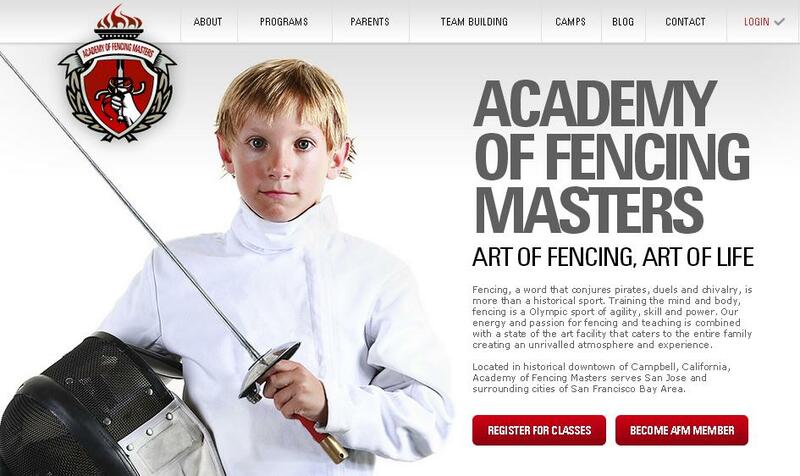 Focus comes with training in fencing, a focus that transfers from the fencing gym to the classroom and beyond. It’s often said that fencing is like physical chess, and that’s very much a true statement. It is like chess in that the players are constantly making moves and decisions based on the feedback they’re getting. This is one of the best parts about fencing – the connection with other people. Unlike other sports, fencing offers the ability to connect with people of many different age levels, as the club has a wide range of ages and skills. Younger fencers are often under the tutelage of older, more experienced fencers, and can see where the can be as far as skill and mastery when watching older fencers right there in the club! Fencers also form wonderful connections during competition. This is a very physical sport, as rigorous for the body as soccer or volleyball, or really any other sport for that matter. The biggest difference in fencing and other sports is the control that it takes. As you’re using a sword to engage your opponent, the body is required to hold a greater amount of control than is required when participating in other sports. Every movement is precisely controlled and executed, which develops a significant amount of strength and agility in the body. While demanding a high level of physical fitness, fencing is also easy on the body. As contact is minimal, there are no weight categories and a low risk of injury compared to other sports (particularly other combative sports!). Standing up and holding a sabre, epee or foil builds a level of self esteem that is difficult to match. Kids know that you’re putting a great deal of trust in them when you enroll them in a fencing course, and that trust breeds higher levels of self worth. 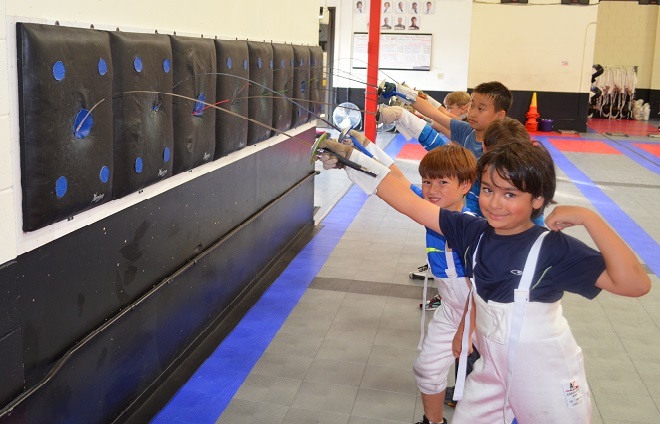 One of the things that we love most about fencing is the pride that it instills in those who practice it – being a fencer is an identity that kids are proud to hold. Whether your child has spent the summer sports season out on the soccer pitch or cracking balls with a bat, or even none of the above, fencing is the perfect way to add a winter activity that will keep them physically fit, mentally sharp and feeling great about themselves.